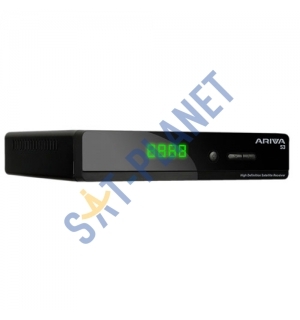 Ariva 53 is a next generation receiver. 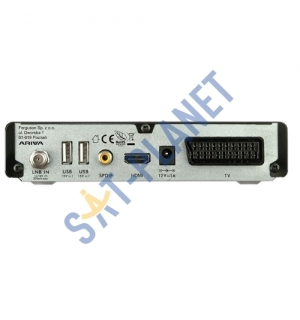 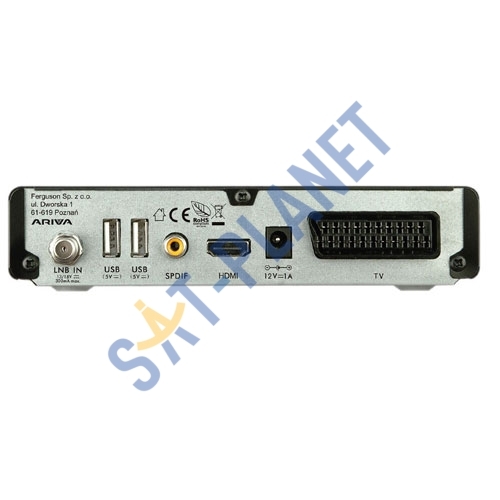 Users will appreciate the enhanced ability of any configuration settings from an intuitive screen menus and graphics in HD resolution. 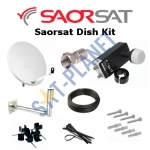 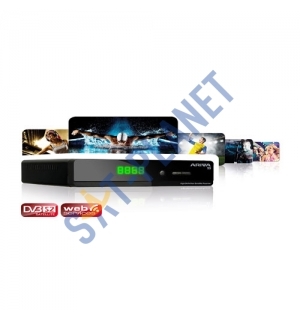 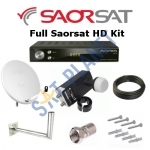 It is the cheapest offer for satellite TV channels in both high-resolution HD (including Full HD 1080p) and standard SD. 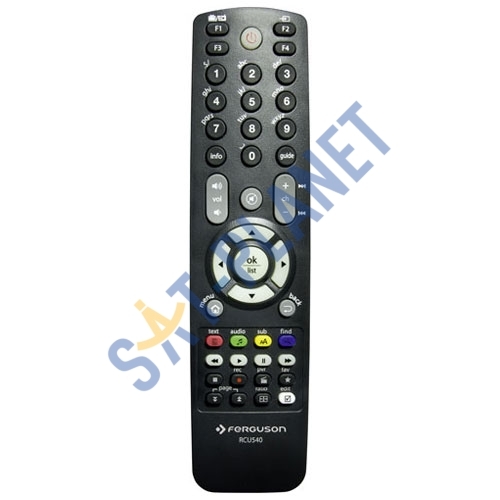 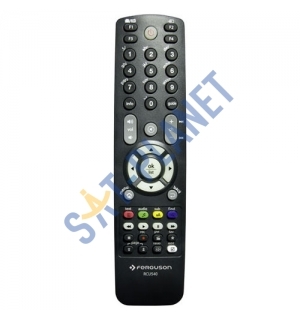 The Ferguson Ariva 53 is an excellent FTA Satellite Receiver. 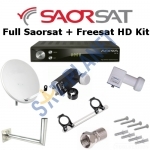 It is perfect for receiving the 'freesat' channel package from the UK on Astra 2 (28 degrees east), channels such as BBC, ITV, Ch4, Ch5, E4, True Movies, Movies 4 men + The HD Channels such as BBC HD, ITV HD, Channel 4 HD are now available at an amazingly low cost. 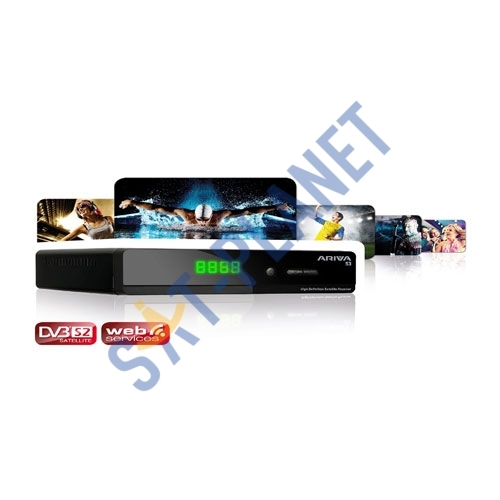 In addition, you get a fully functional USB port with recording, timeshifting and support MP3, OGG, FLAC, MPEG, MKV, AVI, XVID, JPEG, BMP. 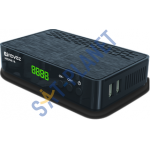 A characteristic feature is the power efficiency and consumption in standby exceeding 1W plus USB Wifi compatibility (sold seperately). 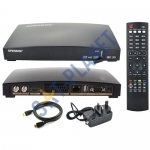 It has a HDMI port and scart connection to connect to HDTV's as well as standard TVs.